The ONETEN MAGNUM builds upon the overwhelming success of the VISION ONETEN in major tournaments around the world, featuring a redesigned fixed-balancer system, and a larger profile. Unlike the decentralized balancer-systems of many large jerk baits, the ONETEN MAGNUM has a specially tuned internal fixed weight balancer plate that allows for responsive action and swimming stability. 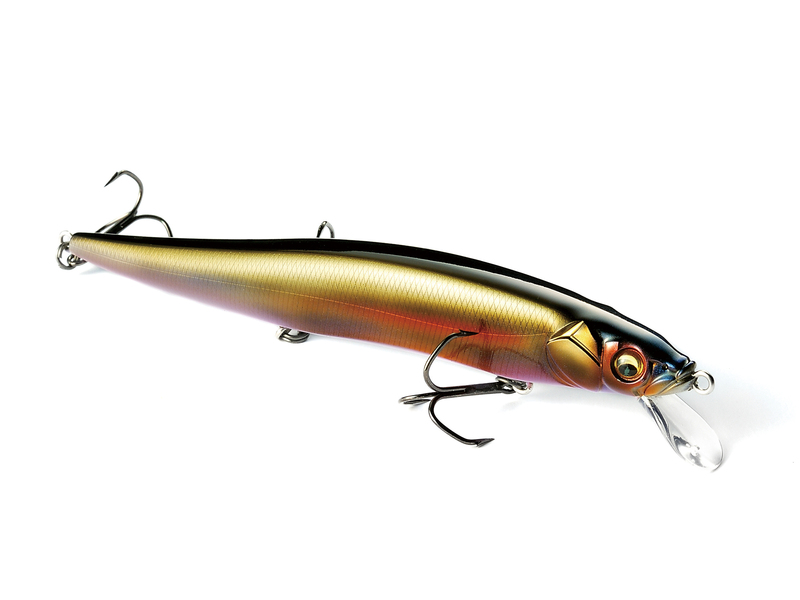 The ONETEN MAGNUM dives to a depth of 2 feet (60cm), and with a slow retrieve, gives off an alluring wobble identical to a schooling baitfish. With a fast retrieve, the MAGNUM performs high pitch rolling actions; when stopped, the MAGNUM gives off a subtle wobble and floats up head first, just like a baitfish trying to escape a predator. With a larger profile, the ONETEN MAGNUM offers up a larger meal that will be sure to trigger bites from even the most cautious monsters.